The green activists will use eco-bricks made with plastic bottles to build the proposed Taj Mahal. Eco-bricks are made of plastic bottles that are stuffed with polythene bags and are sealed. Each day, Agra generates around a thousand tons of civic garbage, most of it plastic and polythene waste. 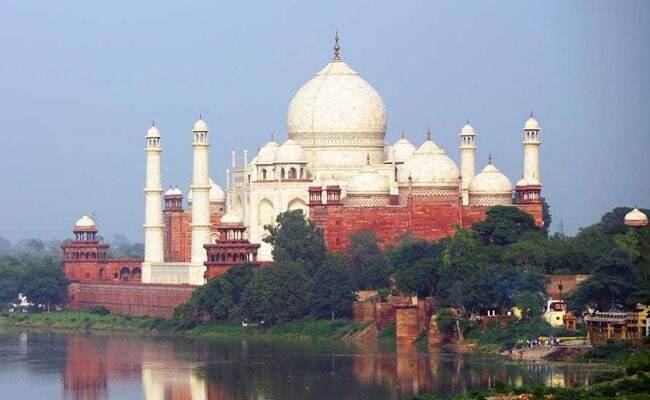 Activists in Agra will try to build a replica of the iconic Taj Mahal with plastic and polythene waste at a park on river Yamuna in the Uttar Pradesh town. The joint effort by an NGO Unfold Foundation and members of a River Connect Campaign will take around six months to build the dummy Taj Mahal. "The bottles become rock solid and are good enough to last 500 years," Dr Meeta Kulshreshtha, a coordinator of the Unfold Foundation, told news agency IANS. "If one person can give us one bottle filled with waste material, we will have 20 lakh such eco-bricks to build any solid structure in one year," Programme Convener Harvijay Bahia said. Chaturbhuj Tiwari, a member of the River Connect Campaign, said, "Every week when we clean a patch of the Yamuna riverbed, we gather heaps of polythene and used plastic material. If we can manage to fill all this in plastic bottles and jars, we could not only help solve a major urban problem, but have material ready for a structure to be used by the public. Tree guards, benches and stools are among the products that can be made." The plastic-based Taj Mahal will be built in Agra's Etmauddaula viewpoint park. "If each household starts filling up bottles with used polythene bags and sliced plastic, we could easily prevent pollution of rivers and water bodies and also avoid choking of drains and sewer lines," social activist Shravan Kumar Singh said.